This entry was posted in Book Promotion, Sally's Cafe and Bookstore Update and tagged #bookreviews, Charles E Yallowitz, Jacquie Biggar, Sacha Black by Smorgasbord - Variety is the Spice of Life.. Bookmark the permalink. All of these sound great, Sally. 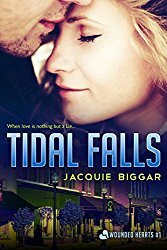 I just finished one of Jacquie’s–and yum! I noticed your review on Amazon, Jacqui, thank you! Sweet trifecta, Sally. Good reviews as well. This is so great for finding new-to-me authors. Thanks, Sally! Sally Cronin shares a selection of fall reading ideas, including my book, Sweetheart Cove! I read and loved Sweetheart Cove. Glad to see it listed here, along with your other selections. A fabulous collection of books to showcase.Congrats to all the authors! Great reviews, Sally. Thanks for sharing! Great line-up, Sally. I follow two of these authors. Thank you for promoting their work.